Haunted Gilson Road Cemetery, Nashua NH. Many legends and tales have evolved from this Nashua, NH Cemetery. Tales that include a gruesome Native American battle that took place on the very site of where the cemetery sits, in Southern New Hampshire. The History around the cemetery is very hard to pin down, it is said the origination of Gilson Road Cemetery is just as strange as the legends. There is very little documentation on the people buried there. There are numberous unmarked graves and many graves of children. Walter Gilson being the most popular grave, do to the unexplained hole in the middle of his headstone. Walter died at the young age of 5yrs 8months on August 28th, 1811. Although there are many other Gilson's buried here Walters grave sits alone, Why? It has been said, some believe this area had been used for an illicit area to dump bodies of the murdered, and then later became what's known now as Gilson Road Cemetery. Gilson Road Cemetery is in a very isolated area and a rather strange location to start a cemetery. One fact known about Gilson Road cemetery is, it's incredibly eire & haunted. The most common ghostly phenomena that our team has witnessed & experienced at Gilson Road, is a heaviness in your chest making it hard to breathe, the feeling something or someone is watching you at all times from the back wall. One experience I have had, was hearing something running up behind me, but when I turned to look nothing was there. Our team has captured many images of different colored orbs, a zig-zagging red streak, a blue glowing mist, also we have recorded several voices on our digital recorders. One incedent that I believe will always stay fresh in my mind, was our second visit to Gilson Road as we were leaving that night I walked back to the front gate and was met by a presents that chased me away from the gate. I can honestly say I had no problem complying with the unknown presents wishes. Haunted Vale End Cemetery, Wilton NH. Our team, SilentWhispers Investigation was planning a trip to Vale End Cemetery in the Spring. 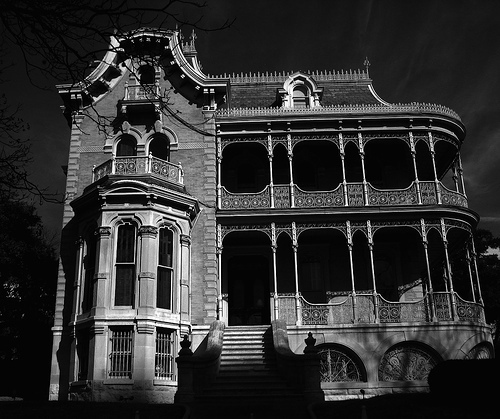 Where the Ghost of the Blue Lady has been sighted roaming the grounds along with other spirits. Although recently I was reading some of Hollow Hills Ghost Websites stories. It was after reading Fiona Broome's Articles called: Vale End Cemetery frights, and Vale End - Possible Demons that sparked me to do some research on the stories. I came acrossed a native american lore called the "Pukwudgies" Now I'm sure some are asking themselves, What is a Pukwudgie? 1) to appear and disappear at will. 2) to transform into other animals. 3) to use magic and has poison arrows. 4) to create fire at will. Pukwudgies are said to control what is called ( Ter-pai-wankas) which is believed to be the souls of native americans they have killed. The native american believed that the pukwudgies were best left alone. Now is it possible that the pukwudgies also inhabit the Vale End Cemetery and the surrounding woods there? As for myself I haven't a clue, but I do believe Fiona's Broome's accounts of that night at this cemetery. Is it possible this is what she captured in her photographs that night. I can not say for sure, but after reading Fiona's accounts of Vale End Cemetery and the research I've done on the pukwudgies, I think our team will rethink our visit to the Vale End Cemetery. As co-founder of SilentWhispers Investigation I have no desire to come face to face (sort of Speak) with a 2 to 3 foot red satanic/pukwudgie guy. I believe we will heed Fiona's warning, and ghost hunt elsewhere. 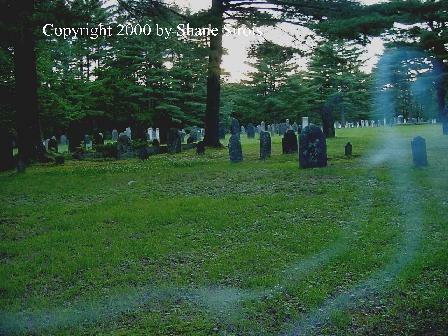 If anyone is interested in reading the articles just type in... Possible Demons at Vale End Cemetery, Wilton NH into your search window and happy reading. Please someone tell me what the purpose of going to a cemetery to do damage to the headstones that have stood some 200 years has? This has really gotten under my skin. As a paranormal researcher I find myself in many very old cemeteries that date back to the revelutonary war and civil war, some even that date back before that time. Over the past year my team and I have noticed many headstones that have been broken off, pulled out of the ground, and yes even taken. When just the day before on some where just fine. The people that rest in these cemeteries are relatives, freinds even heros to someone, These resting souls are part of our History here in America. The behavior of the vandals is uncalled for and wrong. SilentWhispers Paranormal Society just visited Gilson Rd Cemetery in Nashua NH on the 17th of June. Upon arriving we watched a group of about 6-8 young people enter the cemetery. Now of course they were there because they read of the cemeteries paranormal activitiy, we over heard them taking about it. 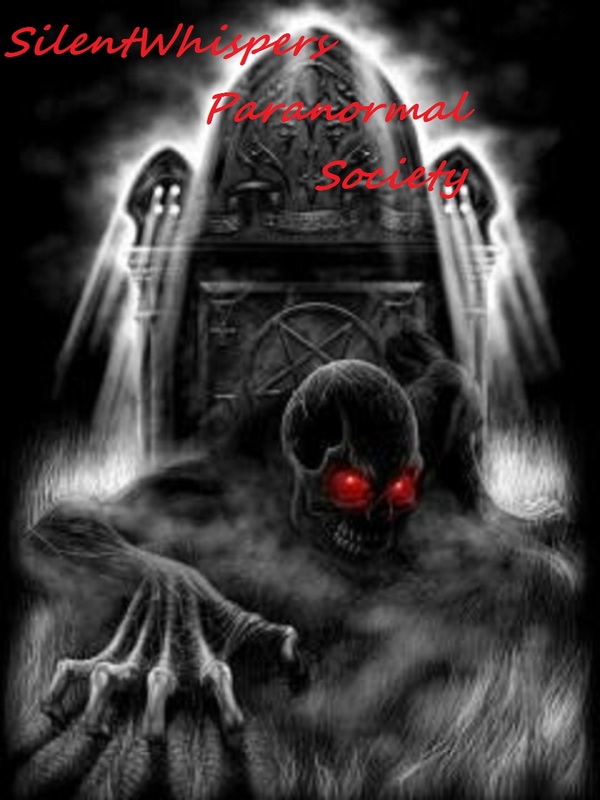 Now this is true there is a great amount of paranormal activity there my team has documented it. Needless to say, because the group of young people weren't getting a response they wanted from the spirit world. They decided jumping up and down on graves and being disrecpectful would get them what they wanted. Unfortunately We as paranormal researchers know spirits, ghosts, etc... don't come out on demand. As a parent I was appalled to think " is this how their parents raised them?". I ask these questions in hopes one of these young people from that night see's this blog. 1) Would you be proud to stomp on your parents/grandparents final resting place, or break off their headstone so no one knew they even exisited years from now? 2) Better yet how would you feel if someone was jumping up and down or destorying the headstone on that loved ones final resting place? Needless to say the people that do these things are heartless individuals, but know one day we all answer for the things we've done in life. It is such a shame to know these headstones have survivied the elements of this world for over 200 years or longer, just to have some one come along and destroy it , because they think it's fun. To all those that think vandalizing a cemetery is fun. Stop destroying our History, the people in these cemeteries should be remembered not forgotten. Many of them faught and died so we could have the country we call America today.